Company Name ORIENTAL SUMMIT INDUSTRIES SDN. BHD. Other Customers PROTON, PERODUA, VOLVO, PHN, SAPURA BRAKE TECHNOLOGIES, TS LEAR AUTOMOTIVE, APM, STEELCASE, KUMPULAN JEBCO HICOM TECK SEE, ASSB & MODENAS. 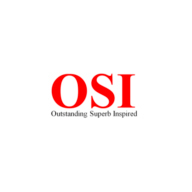 OSI is leader in providing stamping,welding,painting and assembly of metal automotive components,specialising in the chassis component and interior trims.Incorporated in 1982, it also offers services in jigs,tools and dies design and fabrication. As a Tier -1 manufacturer of metal - based products,OSI designs,develops,manufactures and delivers components to the major OEMs and motorcycle companies. OSI was accredited to TS16949,ISO14001 and OHSAS18001.